With guidance from the Parish Pastoral Council, the Evangelization Core Community (ECC) of Good Shepherd Parish in Tallahassee focused in the last year on the goal of equipping and empowering their active Catholic members to exercise their Baptismal call to evangelize. They sharpened their goal with four objectives. Objective 1: Develop the knowledge and skills of the Evangelization Core Community (ECC) through use of the resource “Jump Start Evangelization Kit” by March 2012. “Jumpstart” began in November 2011, and was completed by March 2012. Four members also attended a Saturday workshop in March 2012 hosted by St. Mary’s Parish in Fort Walton Beach. The team will continue to develop the ECC’s knowledge and skills of evangelization through review of “Jumpstart”, along with seeking additional resources including workshops throughout the diocese. Objective 2: Inform parishioners via written materials, verbal encouragement and modeling of their responsibilities and opportunities for evangelization beginning in January 2012. Bulletin announcements were published in September, October, and November 2011 announcing ECC meetings and inviting parishioners to attend. ECC members individually encouraged fellow parishioners to exercise their baptismal call to evangelize and to join the ECC resulting in an additional seven members to the Community. The team determined the format for pulpit announcements: 1. What We Are, 2. Who We Are, 3. Why Us Catholics, and 4. How Do We Evangelize. The first announcement was delivered in May 2012. The second announcement was composed and planned for June, however due to five ECC members’ absences only the 10:15 Mass heard the announcement. ECC plans to resume in July or August 2012. A brochure for the Welcome Wagon was begun in June 2012 with discernment completed for the cover picture and is projected to be finalized by Fall 2012. 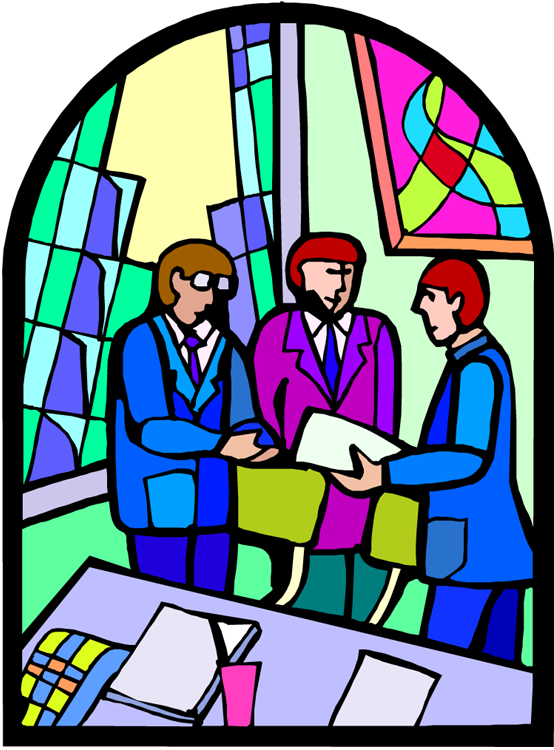 Parish website and calendar were updated to reflect regular meetings. Objective 3: Plan, publicize and implement an Evangelization Workshop for all interested parishioners following the summer Parish Mission in June 2012 The workshop was planned and publicized. Invitations were emailed to all but three parishes within the diocese. An invitation was also posted on the diocesan website, and the workshop was held on June 21, 2012. The ECC will also consider holding an evening workshop sometime next year. For the future, the ECC will revise Objective #1 to encompass other resources including workshops throughout the diocese. ECC will also continue with Objective #2, seeking different ways to reach out in the parish. W hen I got “roped into” joining our parish evangelization team from one of my parish “brothers” I had no idea what to expect. I had no past experience in evangelizing nor did I think I had the knowledge necessary to assist the team. I know that the team was struggling and needed a push. The first few meetings we spent talking in circles and listening to people who had issues with the Catholic faith, and we seemed to be going off track. In addition, no one knew what the team was suppose to do or how we were going to do what we had no idea we were going to do!!! With a good dose of the Holy Spirit and a lot of praying, all of a sudden we took off like a jet. The leader set an agenda, which always included scripture readings and reflections, a time frame and guidelines. This really helped big time. The team set goals, a time line to complete those goals, and we started by reading the book, ” The Evangelizing Catholic” and completing the Jump Start training class sessions over a period of time. We picked out a patron Saint, and theme scriptures. By doing this I believe that we all gained a little courage in the mission at hand. We have completed most of the above in the past year and a half, plus we assisted in the parish mission and conducted a workshop for the parish on evangelization. Several team members watched the PEM webinar, Forming Teams for the New Evangelization. I believe that this webinar as well as other resources from the Paulist Evangelization Ministries will not only help our team but other parish teams to get started, stay on track and facilitate new ideas and approaches in sharing the Good News!!! This is something that should be our #1 priority in life.